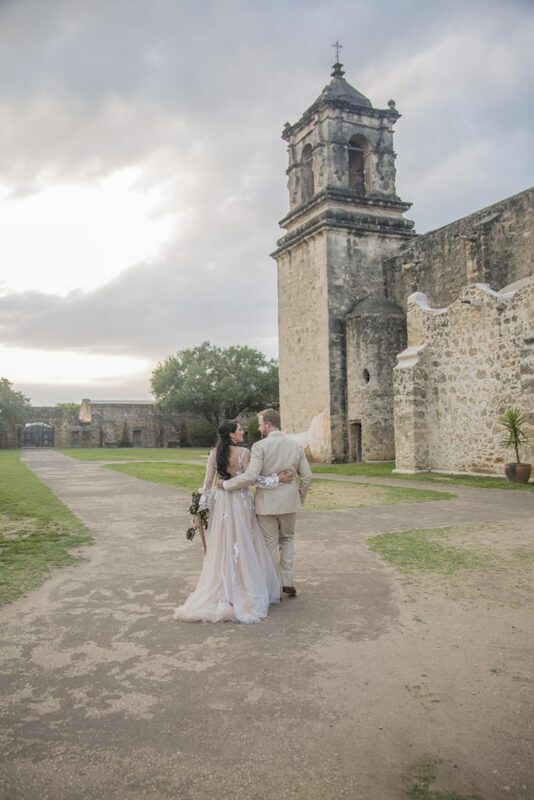 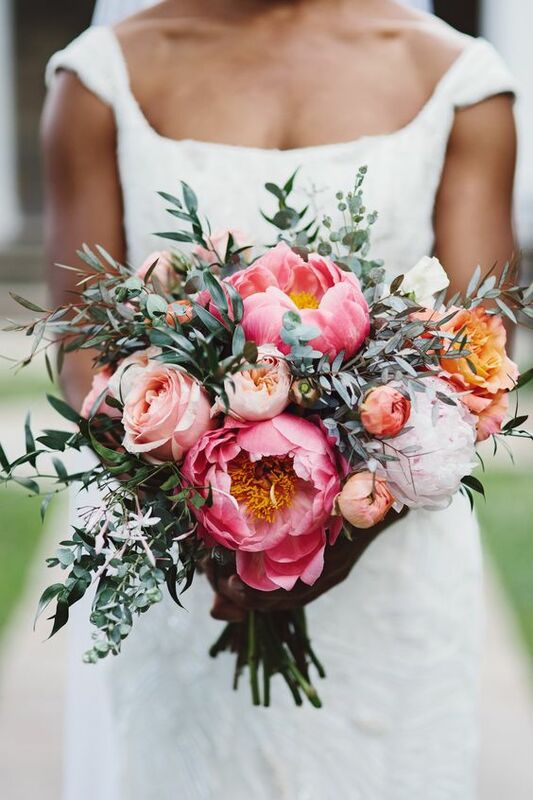 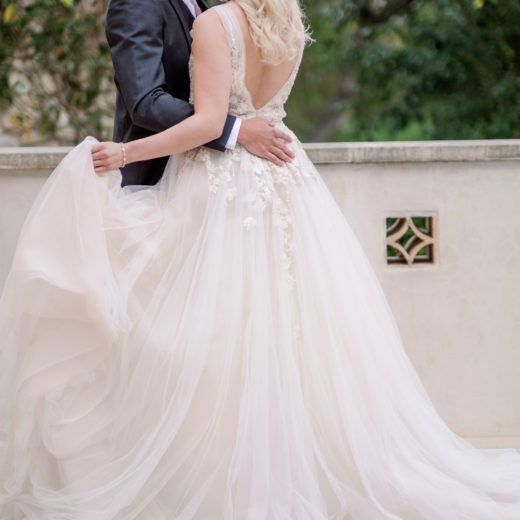 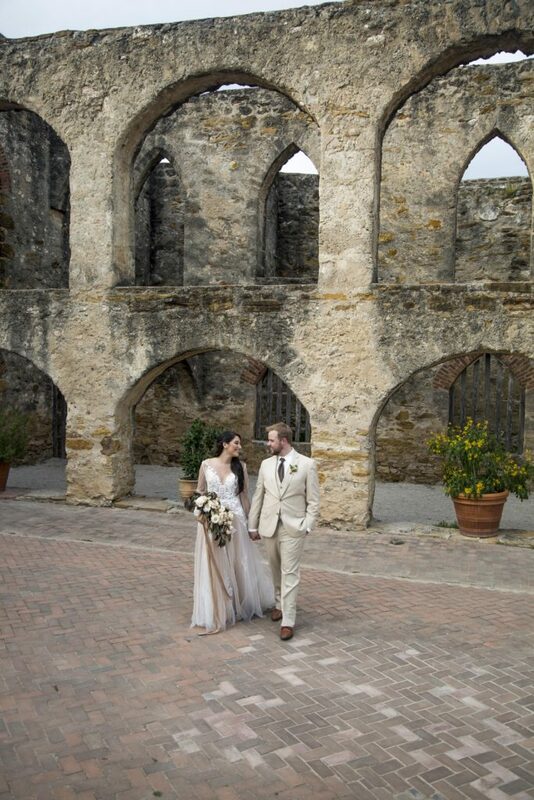 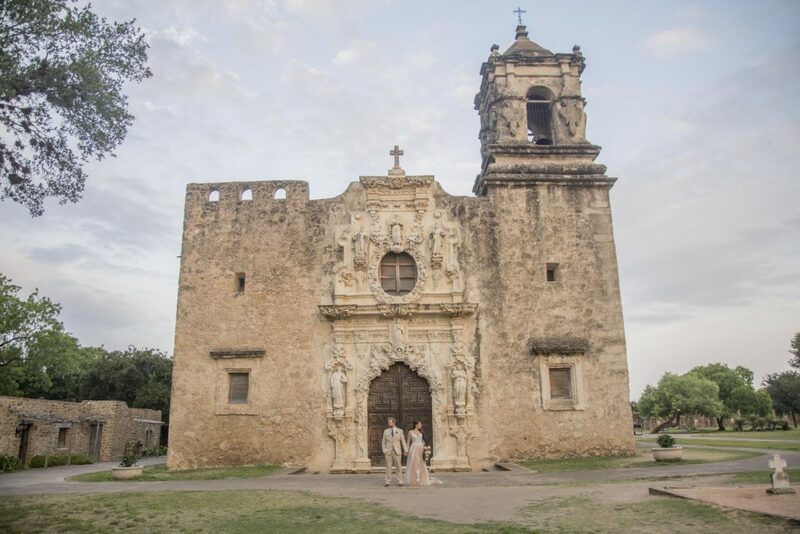 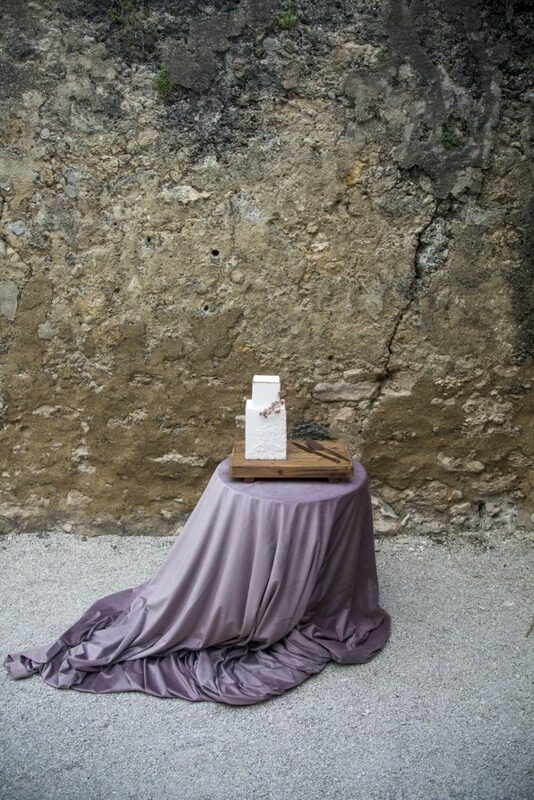 This romantic, styled, wedding inspired shoot took place at the historic Mission San Jose Church in San Antonio, Texas. 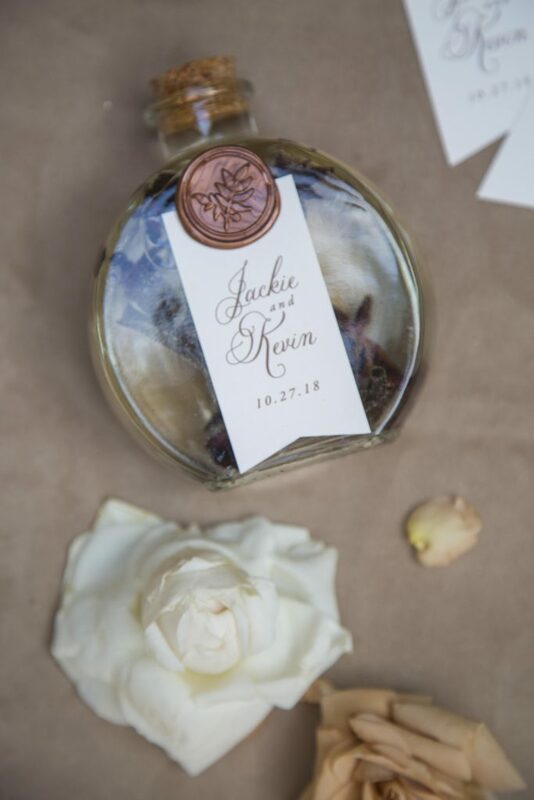 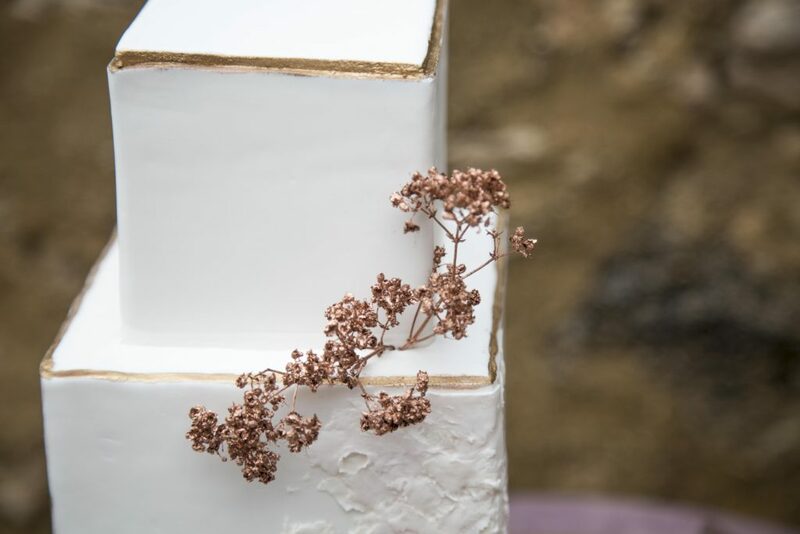 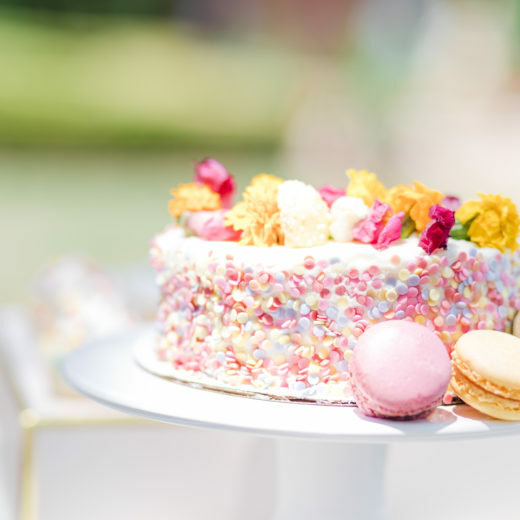 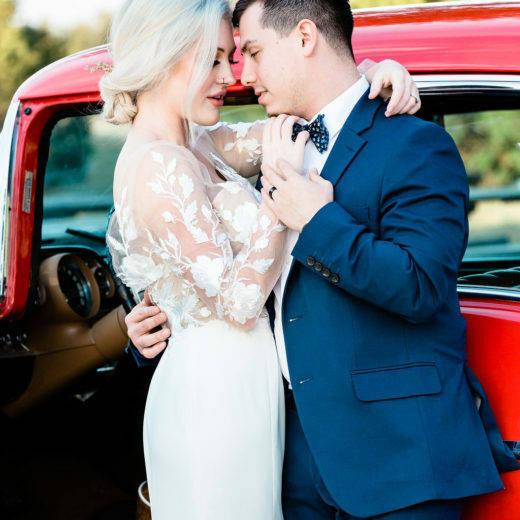 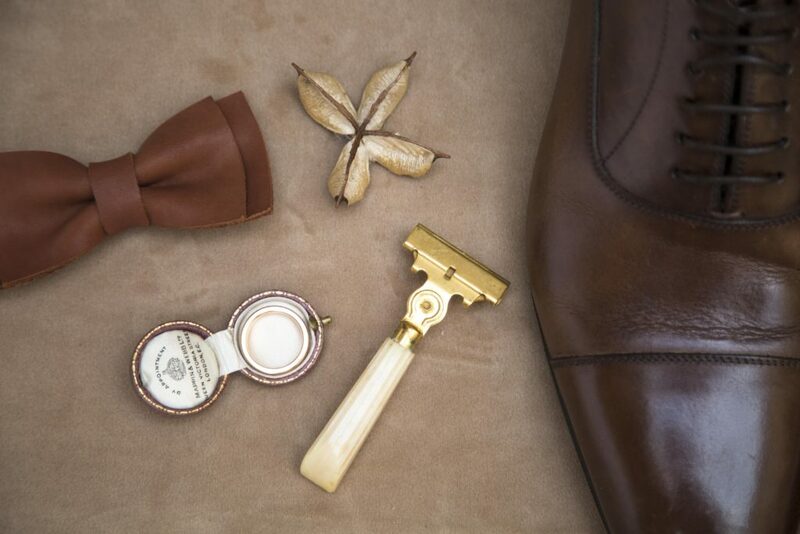 The styled shoot featured a neutral palette, stunning details hand picked and styled by Wendy with Birds of a Feather Events, and a unique leather-styled stationery suite by Southern Fried Paper. 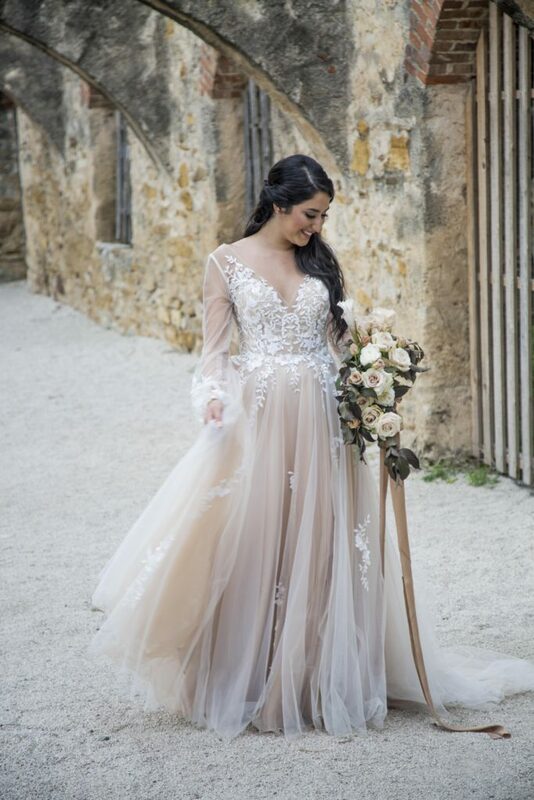 The bride was dressed in a gorgeous opaque, flowing gown with a taupe underlay and Bella Belle shoes. 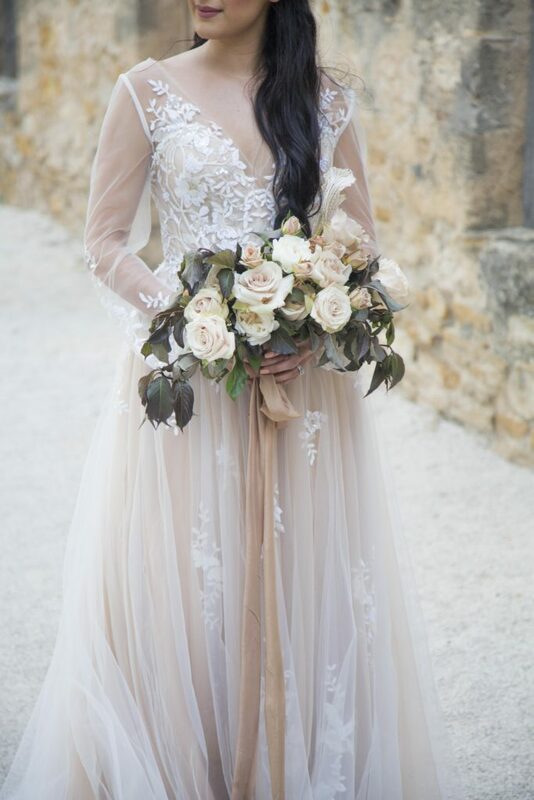 Mauve and cream roses tied with a trailing ribbon added a vintage charm touch to her ensemble. 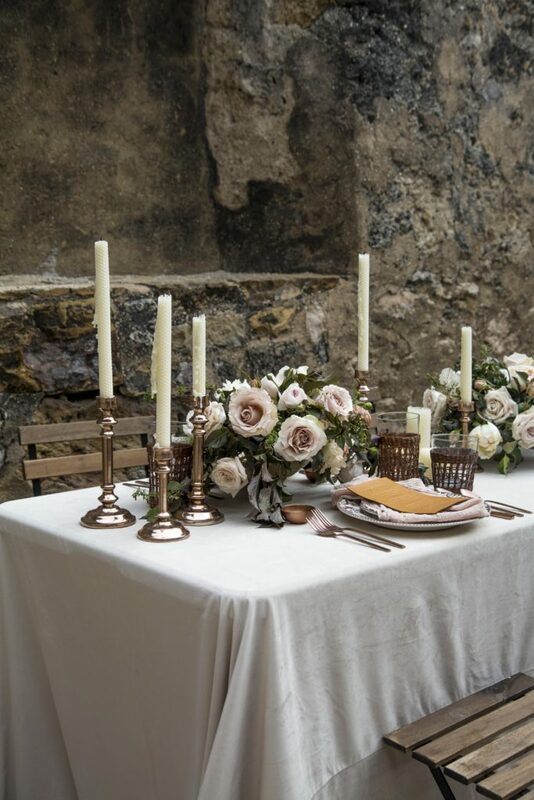 Coordinating florals graced the reception table which was dressed in neutral tones and accented with bronze candlesticks and serveware. 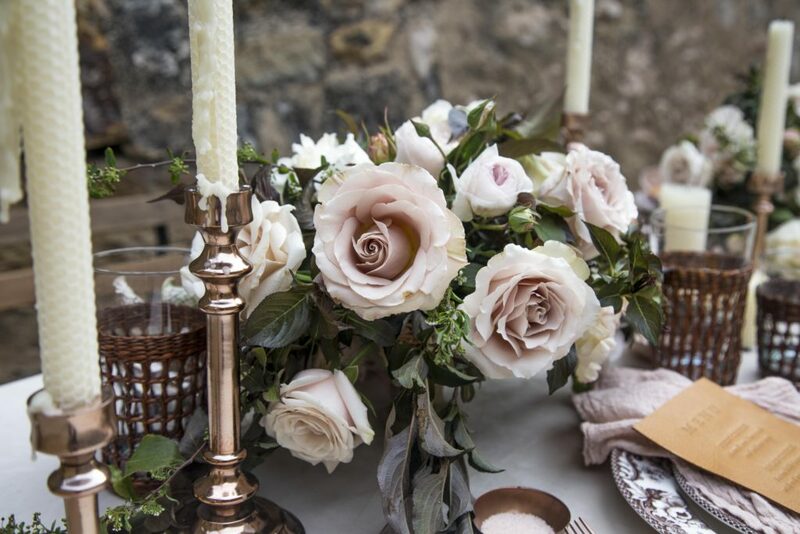 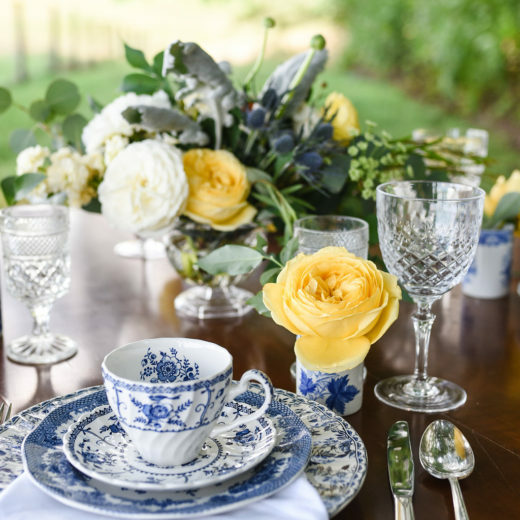 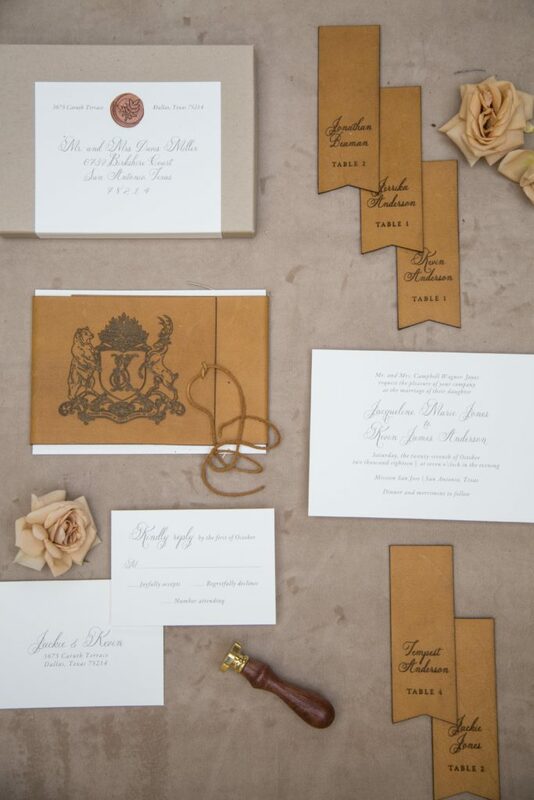 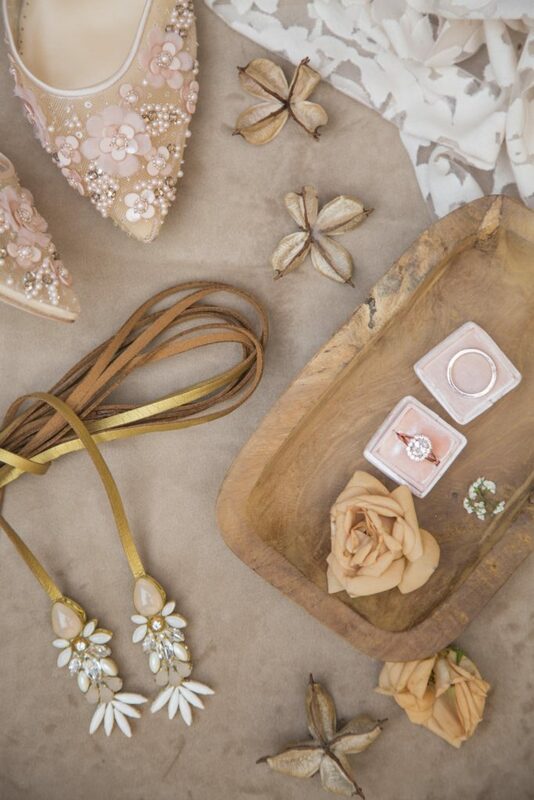 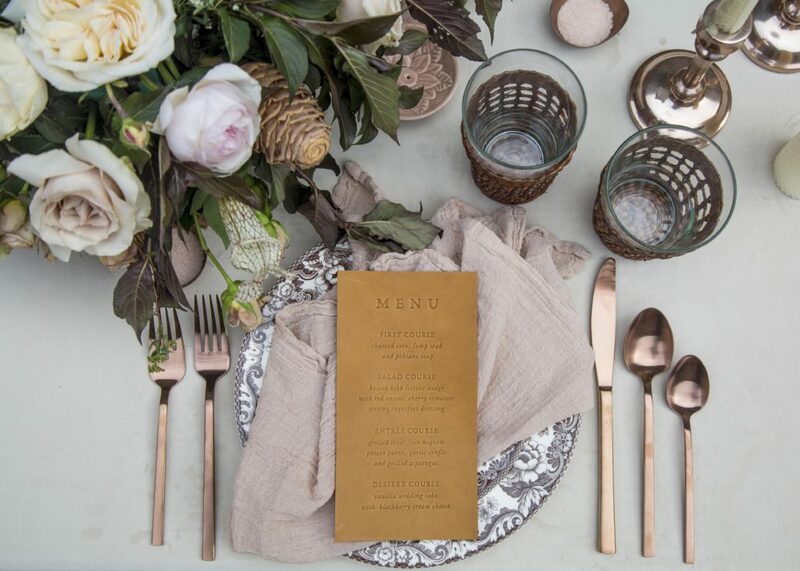 The subtle tones paired with the luxurious florals created a look that was romantic, understated elegance.